Embodied Yoga private sessions and classes, based on experiential anatomy and developmental movement patterns are specific for effortless asana, injury treatment and prevention, and to energize your whole self. Using traditional principles of yoga and the highly developed somatic approach of Body Mind Centering® we will deepen your yoga practice and your awareness of your body. Body Mind Centering® is an integrated approach to transformative experience through movement re-education and hands-on re-patterning, utilizing touch, movement, voice and mind. 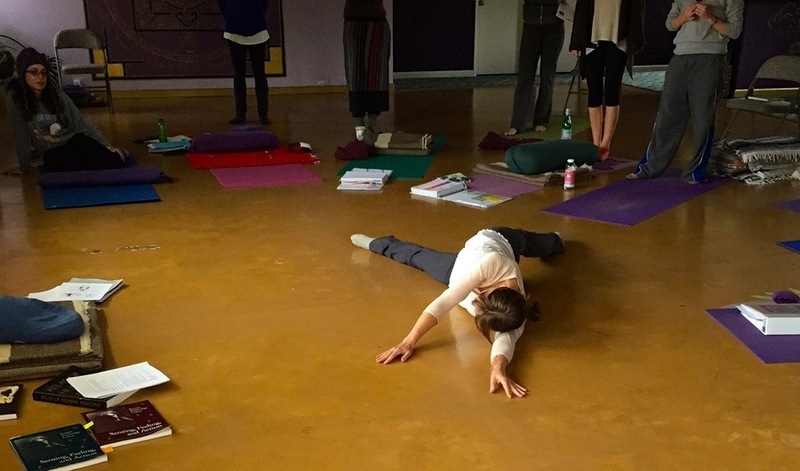 In Embodied Anatomy and Developmental Movement we explore movement and states of consciousness that emerge as we embody our cells and tissues through the study of the body systems. As we explore systems in the body we create more efficiency in our movement and more health in our body. In classes and sessions we track the embryological process through which our bodies developed. Embodied Anatomy and Developmental Movement can be applied to yoga, dance, sports, bodywork, chi kung, tai chi, and basic body mechanics. "Chanti is a gifted, clear and engaging teacher. Her depth of knowledge and embodied practice gives her the ability to communicate and activate deep experiences of our body's many systems and layers, awakening our physical structure into it's fullness. This knowledge and activation makes the experience of practicing yoga truly multi-dimensional and deeply satisfying!" "This profoundly altered the way that I experience and inhabit my body/mind. Chanti, full of wonder and wisdom, is a trustworthy and gentle guide into vast inner realms, where, through all my senses, I have begun to experience my body from the inside out. Anatomy came alive for me and informs my touch in deep ways that support healing and wholeness. This has been a most rewarding journey, to live and move with more grace and ease." Every winter I facilitate an 8 day retreat filled with sunrise meditations, Embodied Anatomy and Developmental Movement Yoga, Kundalini Yoga, authentic movement, somatic awareness, bodywork, generational healing, tantric dance, 12 stages of healing, and Network Spinal Analysis Chiropractic sessions! 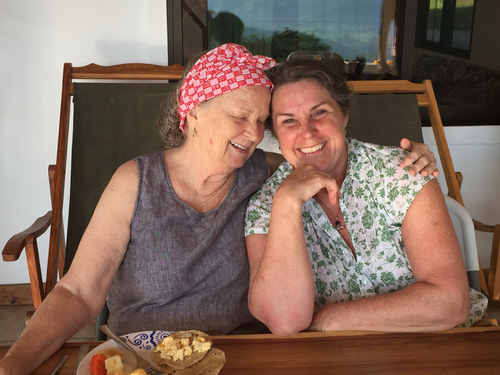 I co-lead this retreat with my dear friend and amazing healer Erin Pollinger. Email chanti@embodiedbeginnings.com if you're interested in joining us next year. 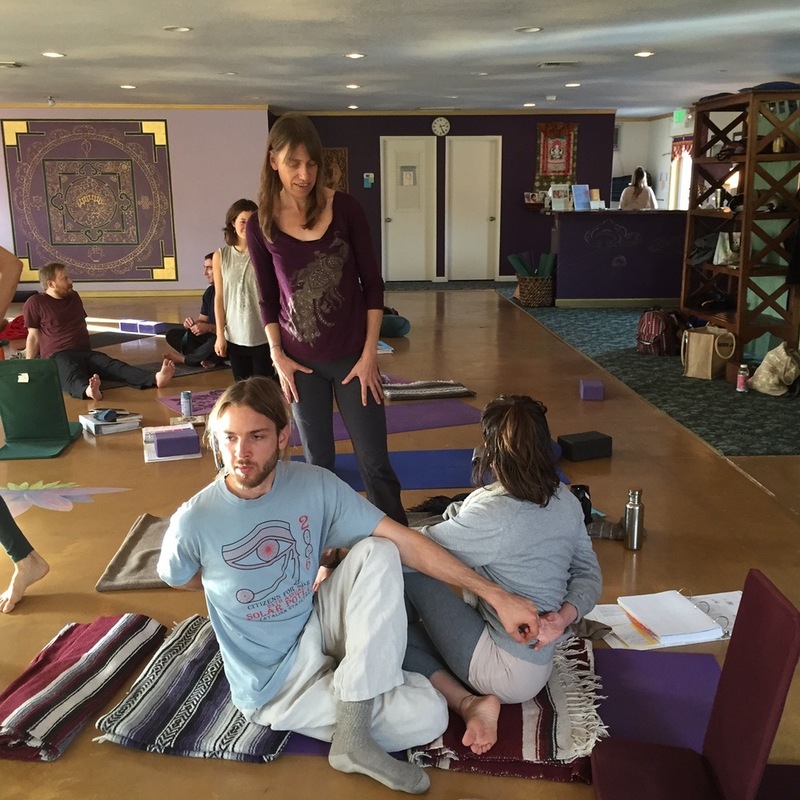 Each year I teach a three day weekend anatomy intensive at the VajraPani Yoga Teacher Training at the Shasta Yoga Institute in Mount Shasta, CA. Email chanti@embodiedbeginnings.com for the dates of the next weekend intensive. As a midwife, I am especially fond of teaching prenatal yoga! Classes prepare expectant mothers for labor and birth through gentle movement, breath-work, deep relaxation exercises, and positions to encourage optimal fetal positioning. Prenatal yoga is a perfect place to connect with your baby and build a community with other mothers. All levels are welcome. Private sessions are also available. "Chanti has a gentle, lighthearted presence. She has a profound knowledge of pregnant bodies, babies and mamas. It helped my stress level and physical comfort through my pregnancy. We even did yoga in early labor! I highly recommend taking her classes!"